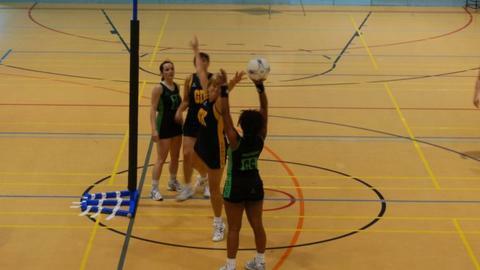 Guernsey Panthers' hopes of automatic promotion from Netball's South Division Three are already over, according to captain Nena Copperwaite. The island side have lost three of their opening four matches this season and are third from bottom in the table. "Realistically now automatic promotion has gone, the most we can look at is a play-off position to get up," she said. "But to do that it's going to rely on results from other teams which we didn't want to have to rely on." Panthers lost in the promotion play-offs for a second successive season in May and were aiming for promotion this season. "This is going to be our toughest season, there's no easy rides," Copperwaite added to BBC Radio Guernsey. "In the last couple of years there's been teams which we've known that we should definitely be going and beating, but that's not the case this year, it's just really, really tough. "But it's the same for everybody else, so we've just got to get on with it and do as well as we can, but at the moment it's just not good enough."